The Warriors are cruisin’ the USA as they continue their road trip. On their travels, they encounter Nancy Pelosi and Barack Obama and by doing so, they single-handedly end the government shutdown. 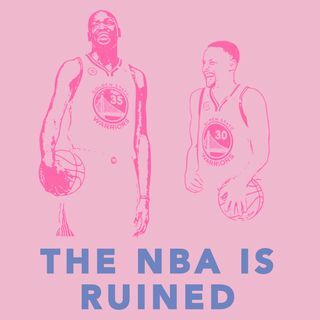 We talk the emergence of Demarcus Cousins and his evolving game, All-Star game predictions, Steve Kerr breaking records, Klay Thompson’s love life, making science cool again, and a brand new soundboard just for the fans. Don’t forget to rate and review the podcast, you the real MVP.